We personally love being in nature for all of our retreats so all of these venues are surrounded by aches of beautiful nature and Rachel Leigh-Janney has personally catered for Retreats at all of these venues. Lanehead is a historic period property located on the Eastern shores of Coniston Water. The venue’s elevated position provides sensational views of the lake and high fells beyond with the village of Coniston within walking distance. 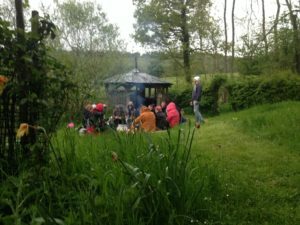 Holycombe is a beautiful residential holistic retreat centre, set in a verdant wooded valley on the edge of the Cotswold village of Whichford. 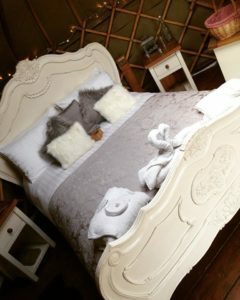 With the option of indoor accommodation along with Yurts, Bell Tents and Garden Summer House. A luxury house located in the peak district with a large games room that can be converted into a games room. The property has lovely balcony around the edge of the house and a divine large lounge and dinning area. Looking for a retreat based in Luxury Yurts then this is the place for you. Each Yurt also has it’s own hot tub. Surrounded by fields of wild flowers. Bore Place is set in 500 acres of countryside which encompass an organic dairy farm, organic market gardens, conference centre, environmental education centre, as well as programmes to provide opportunities for vulnerable and disadvantaged young people. More venues coming soon! We love to personally use each venue before we recommend them! Please contact Rachel Leigh-Janney on herbaliciousfoods@gmail.com if you’d love any help organising your retreat.